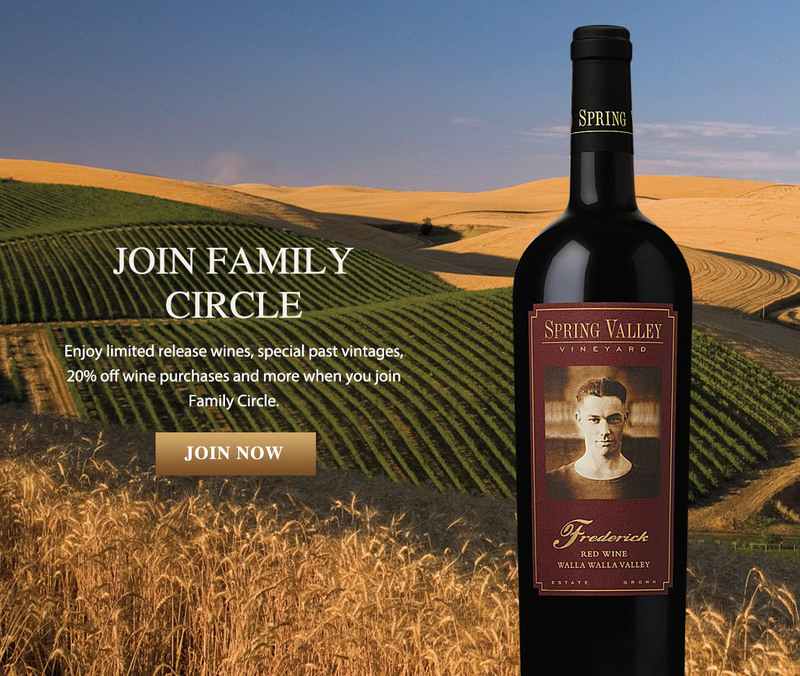 Enjoy limited release wines, special past vintages, 20% off wine purchases and more when you join our Family Circle. 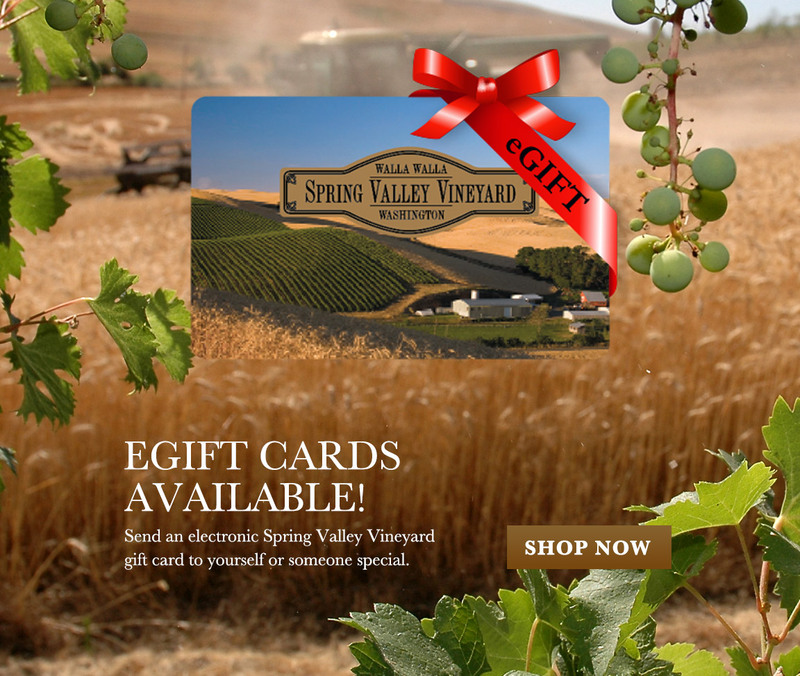 Send a Spring Valley Vineyard eGift card to yourself or someone special! Our helpful Concierge staff is available weekdays 9am–5pm and weekends 9am–4pm PST. Call 1-855-301-0619 or email us at orders@springvalleyvineyard.com.